Having a business card is a good idea. Having an unforgettable business card is a great idea. Having an unforgettable business card that points your prospects to your explosively compelling website is a winning combination that will most assuredly bring you in more business! For years, I would stroll around town without a stack of business cards in my pocket. Looking back, I get sick about all of the business I likely have lost, thanks to that blunder. Don’t let it happen to you – but just as importantly, don’t hand over an ordinary business card, either! The business card must be unforgettable. A business card can be thicker than normal, have gold print, etc. and can still be slipped into your prospect’s wallet, until 2 years later when they clean it out. What I have done, is I use a cartoon version of myself. I ALWAYS get compliments and chuckles from my business cards. Not once has it gone unnoticed. You can see it at the top of this posting. This may sound like a no-brainer, but should be dully noted. If people cannot figure out how to get a hold of you, how will they be able to buy what you are selling? According to the guidlines set forth by www.dxprintingperth.com.au, it would seem that having a business card that sticks out is only the tip of the iceberg. It is the lit wick that should be attached to your explosively compelling website. If you can excite your prospect with the combination, then you are leaps and bounds ahead of most! This is something worth mentioning twice! Having a business card is a good idea. 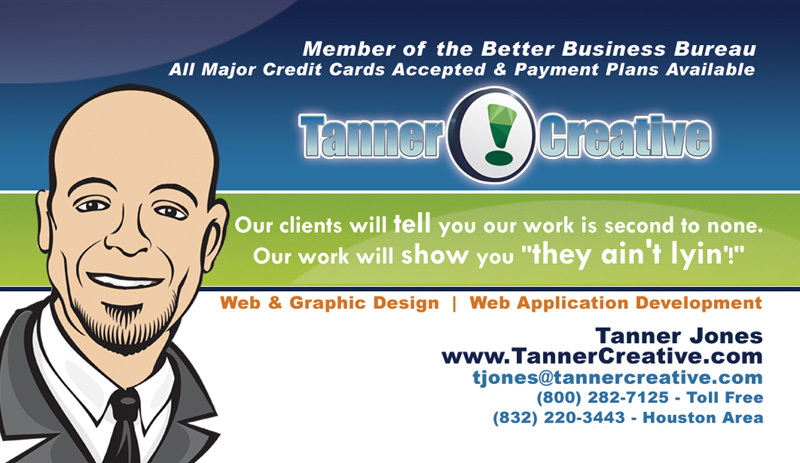 Having an unforgettable business card is a great idea. Having an unforgettable business card that points your prospects to your explosively compelling website is a winning combination that will most assuredly bring you more business.